Laquered straw Coolie. Hand woven in Southeast Asia. Tie-on chincord included. 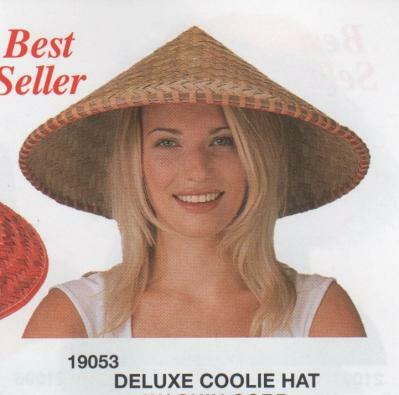 This Coolie Hat is the real thing. Worn daily by millions in Asia in the rice paddys.